The vehicle's design is high tech, right down to the futuristic rims wrapped with large heavy‑duty tires. Manual functions include 4-wheel steering, simultaneous or independent boom and bucket operation, and an adjustable counterbalance. 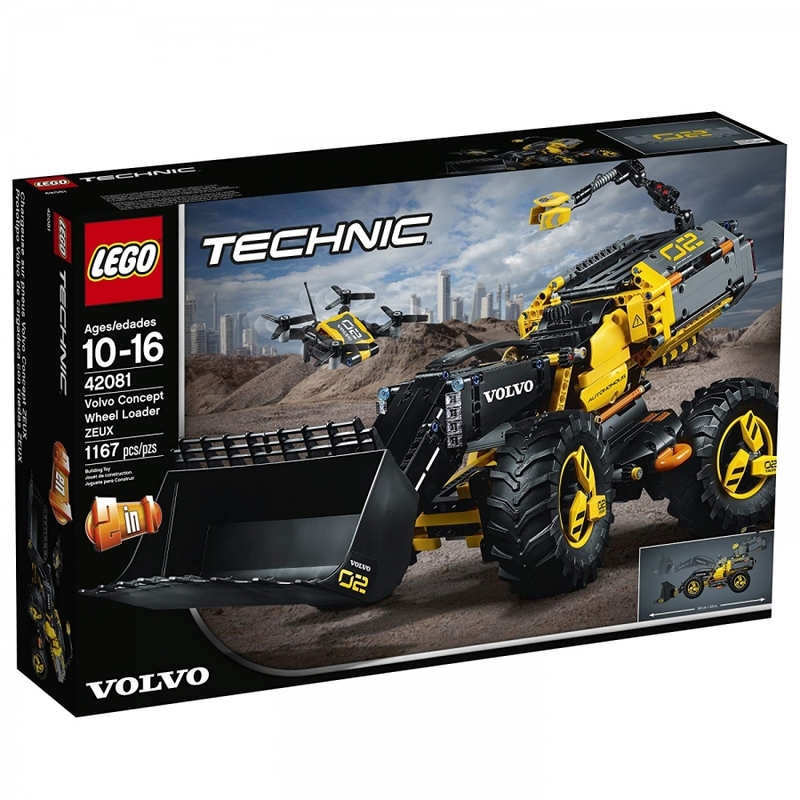 This 2-in-1 LEGO Technic set comes with a classic Volvo color scheme and a set of stickers for additional detailing, and rebuilds into a futuristic Volvo Concept Hauler PEGAX.